Before I get into the hype of Victoria Peak Hong Kong, let me share some introduction about Hong Kong. As one of the most popular travel destination in Asia, this country offers a lot of excitement to go with. Located on the southern coast of China, as a special administrative region, Hong Kong well known for its skyline and deep natural harbor. Why is it so popular? You’re about to know why. If you haven’t been to Hong Kong, this place is highly recommended. Last year alone, with an outstanding number of visits to this country up to 60 million. The tourism industry plays a very important role for more than 12% GDP in 2014. Still, the biggest source for this statistics comes from mainland China. 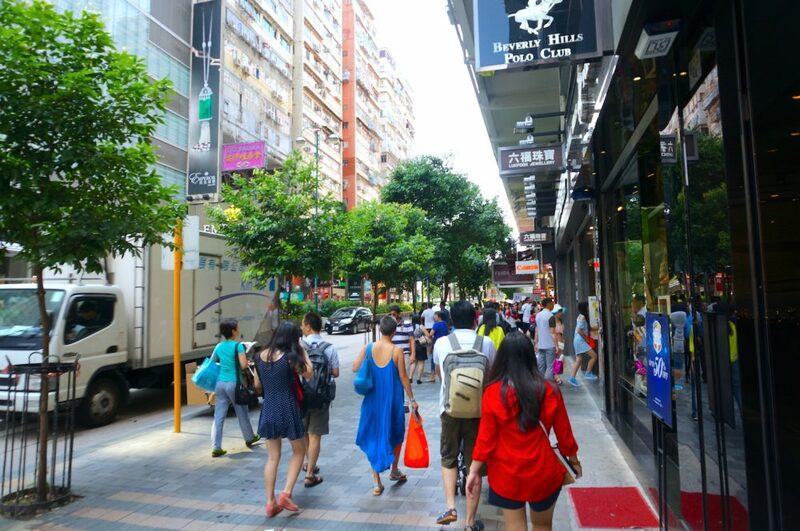 If you haven’t read our last post about Macau trip, you should check it out since they’re connected. Yep, it’s one trip, Macau – Hong Kong – Shenzhen. We’re arriving really really late at Hong Kong. It’s around 1.30 am in the morning. We’re super exhausted, not having a proper dinner. Tired, hungry, and sleepy… Great! We checked out from the terminal as fast as we could, struggling with the lines. Once we’re out, we’re trying to get a cab, which is just outside the exit door. Because there are 7 adults and 2 kids, we took 2 cabs. One unpleasant experience that I personally upset about is that those taxi drivers are really ignorant for women and children. They’re honking with no manners at all. Even though they saw us loading our baggage into the taxi, with all our energy left, those bulky baggage are just too heavy. Lucky our taxi driver was helpful enough. I don’t know if it was legal or not, but our baggage won’t fit the taxi luggage capacity, so they just strap it or something so they won’t fall. Too bad I didn’t have the chance to take a photo, well of course… With all those honkings, we tried to be as quick as we can. After 10-15 minutes of driving, we’ve finally arrived at our hotel in Tsim Sha Tsui. And guess what, for the extra baggage, you must pay an extra 20 HKD something if I’m not mistaken. We paid 120 HKD and 162 HKD for both taxis. Like it was not enough drama, we got another problem when we’re checking in at the hotel. They cannot allow us to check in with that many people in 1 room. Fyi, we booked a deluxe twin (double queen size bed) that can fit up to 4 persons ideally, costs us somewhat around 1,400 HKD / night. Well, we’re supposed to check-in 5 persons only, since 2 of us will stay at their family’s place. But because it’s really late, so yeah….. Finally, after some negotiation and a friendly approach, they let us check-in. Fuh, what a night! Checking in our room, and then my stomach starts a riot, so I went out to find something to eat. A sandwich and instant noodle from 7-11 should do. Finish with my food, and there I had my beauty sleep. The next morning, I woke up pretty late, maybe it was 10 in the morning. But I’m grateful for my wake up view. I slept near the window, we’re on the 6th floor. And this is what I woke up to. View from my window. The Kung Fu Hostel! New Day, Rise and Shine! Yep, it’s the Kung Fu Hostel! The place where IP Man once live. For you who don’t have any idea about who is IP Man, you can read it here. For a short note, he’s Bruce Lee‘s sifu (teacher) for martial arts. Of course, you know Bruce Lee, right? At least you must’ve heard of him. If not, you’re too young for the internet, do your parent knows what you’ve been browsing? Well, at least it’s quite an exciting view to woke up with, after what happened last night. I actually want to check that place out, just to know what is it looks like, you know, out of curiosity. But we keep procrastinating until we go home. Familiar? Yea, me too. Maybe when we’re traveling and we feel like seeing or doing something that we might or might not have the chance to go or do again, then I strongly suggest you to just do it NOW, or you may never have it. We’re finally out to the street at 12 o’clock in the afternoon. Pretty late to explore Hong Kong, but well… We really took our time, slow but sure. Hahaha.. This hotel got two access, the main entrance is the one that facing the Kung Fu Hostel & K-11 mall, the other one go straight to the main road. 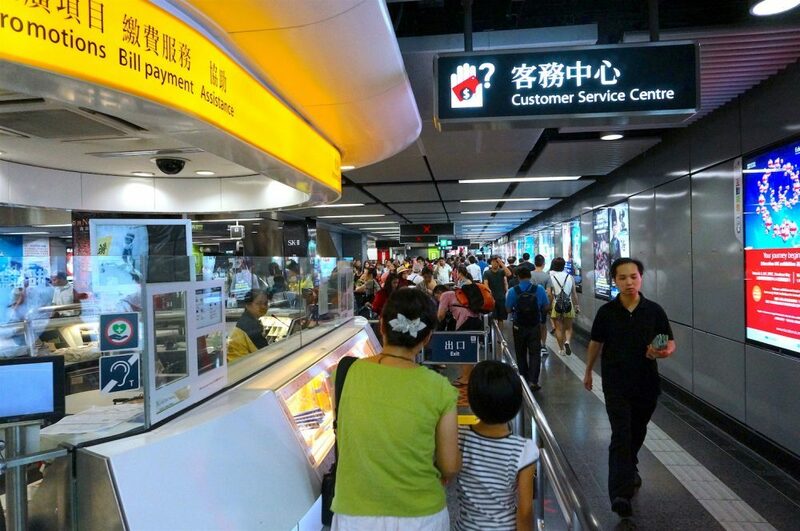 As soon as we’re out, we look for the MTR station to buy their card, with balance enough to cover our trips for the next days. The MTR station here is one of the busiest in Hong Kong, it’s really packed. We planned to go to the Victoria Peak. But first, we just fool around a bit for the next hour. 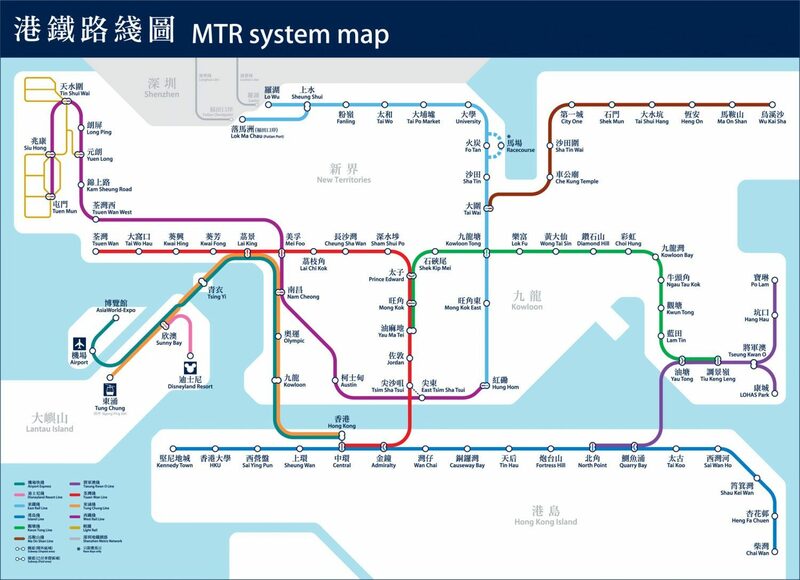 Here’s a map for the MTR system in Hong Kong. I suppose that you already know that it’s so much better for you to study the local transportation system first before traveling to another country. Or you can download the pdf here. Save it in your phone. 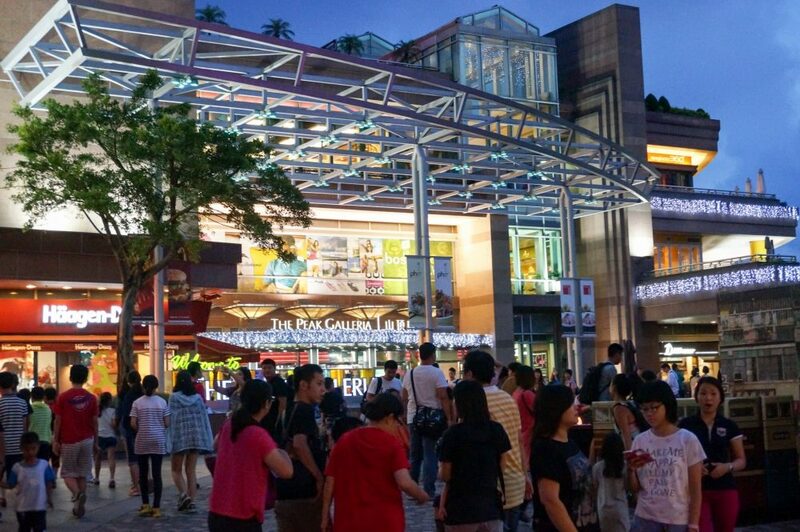 There’re several ways to get to Victoria Peak, choose what suits you the best. Here’s some information on how to go to The Peak. You can enjoy The Peak with this amazing combo. We took the cab from central, which is more convenient to us, costs 68 HKD. One thing that you want to make sure, is that you go to the lower terminus, not the upper terminus. That if you want to ride the Peak tram up to the hill. If you feel like skipping the tram to go up, which is the better view than going down, then it’s ok to go just straight to the upper terminus. 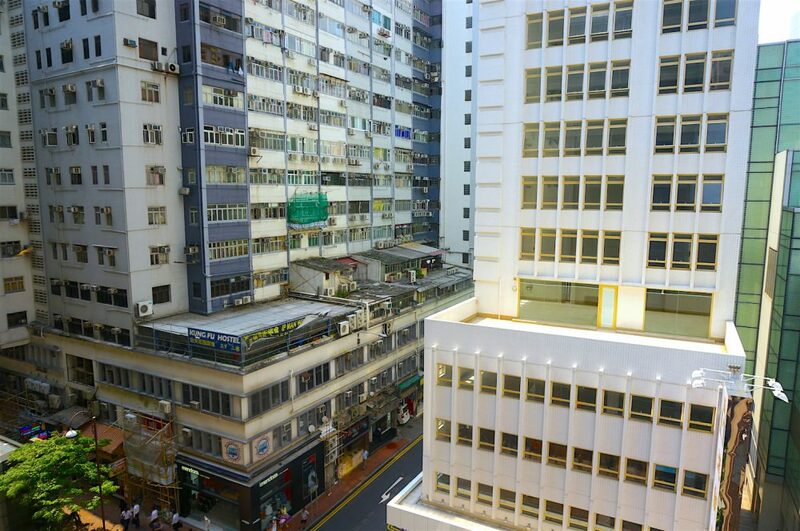 This place is the highest point on Hong Kong Island, this has been the city’s most exclusive neighborhood since colonial times – back then it was the cooler air that attracted the rich and famous. In the post air-conditioning era, the views of one of the world’s most spectacular cityscapes keep them coming. That view is what makes it a very popular tourist destination in Hong Kong. Here’re some photos to tell you some story. 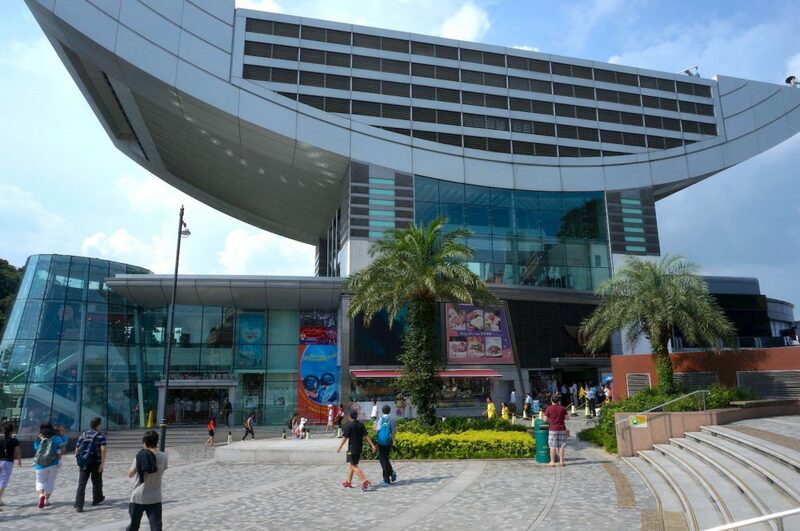 Basically, you’re gonna have to get through The Peak Galleria (mall) to get to the rooftop, once you get off from the tram, you will see up there this building that looks like a wok (a Chinese cooking vessel). You can actually enjoy some things in this Victoria Peak Tower before you go up to the rooftop, either you can enjoy the nature walks, or you can check out what’s in the mall, they get Victoria Peak market, and also Madame Tussaud’s (costs us 250 HKD / person, umm… Not really worth the money in my opinion, but if you never been to Madame Tussaud’s, then you should check it out, I never been a big fan of Madame Tussaud’s anyway). We had lunch here at a restaurant on the 3rd floor for a total of 360 HKD. When you reach the rooftop, there goes your entertainment. As you can see from the photos above, it’s good to enjoy the view. Victoria Peak much better with sunset. You can enjoy dining as well, they got some restaurants. After spending quite some times up there and satisfied with taking photos, we decided to get out of there as soon as possible. As it getting packed and even more packed when sunset, more and more people coming up. What really seems to look like a horror scene…. 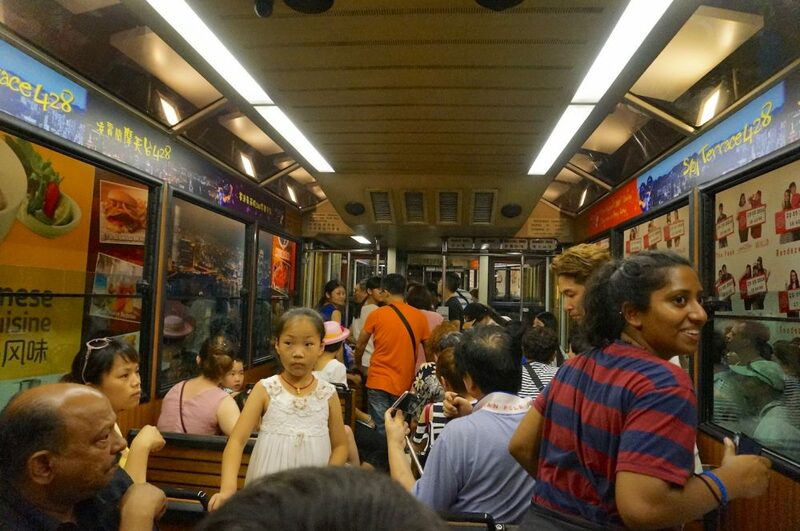 The queue to the tram going down from Victoria Peak (Oh, man….). You won’t believe the queue. They even make the line zig-zag like a labyrinth, maybe it will take us about 2 hours to queue (and it was!). I just don’t want to get into that mess, so I walk around and I found this Sky Terrace, seems like there’s a lot of tourists going there as well. Check it out, the view was actually very beautiful right after sunset, with the lights from the buildings at the city. Now comes the part where everybody who had been here will be upset. You do know that after a long queue such as 2 hours will drain your energy drastically, right? Not to mention emotionally. So yeah, seems like everybody was really tired and emotional when it comes to boarding the tram. See, this is what I don’t like from the mentality of the people who comes to a vacation / attraction spot, it’s just chaos when you’re boarding the tram, yes you got a queue, but when you pass the staff checkpoint, that’s when things start to f*cked up. This is the queue before we go up, look at that cone, at night, those aren’t enough. You have to stand your ground, and fight your way to board it. Pushing, pulling, jostling around, just like savages. Yea, I got a name for that, The Savage Tram Holiday! Haha.. I even saw a mother with baby and little children got pushed in a hard way, wow just wow…. Did I have it? Yes, I personally experience that, these Chinese family playing savages to us trying to cut us boarding, and it’s the woman (mother) did that to us, she push one of my friend (also a mother with her daughter), and you know what’s next…. Mothers fight! LOL. Finally, after being savages for a moment, we made it board the tram. I saw the window seats had all been occupied (ah, I see… So they all fight for the best seats? Wtf..). Well, the view was not so great at night in my opinion, and we’re going backward down anyway. My advice to you, seriously…. If you can go back early, go back early. It’s way more crazy at night. 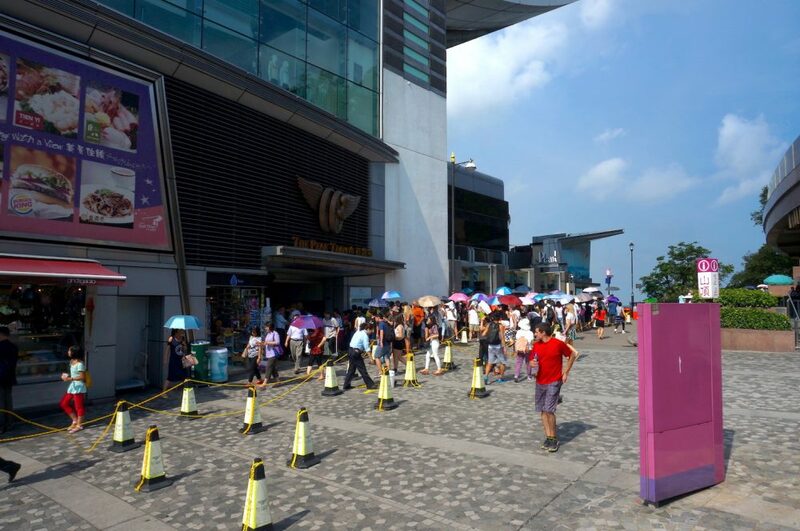 And I couldn’t believe what I saw when we reach the lower terminus, the queue for those who wait to go up, I’m…… Wow…. Have you been here? Experience the same thing? Let me know what you think in a comment below. Thanks for reading. I will post another story still from this Hong Kong series. Until next time! If you need help with The Peak attraction, these links below will help you to settle things down before going. As well as it will help me earn commissions at no cost to you. You will get a discount price, great right? Thank you for sharing excellent informations. Your site is so cool. I’m impressed by the details that you¡¯ve on this site. It reveals how nicely you understand this subject. Bookmarked this web page, will come back for extra articles. You, my friend, ROCK! I found simply the information I already searched everywhere and just could not come across. What a perfect site. You too! You ROCK, Jimmie!